Great Southern Towns – Face it, family vacations can be tricky and planning a family vacation can be stressful. You have to find a place that offers something for everyone in the family. That’s hard enough for couples travel, and even more complicated when you have kids and teenagers. Mom and dad may want some downtime, while the kids just want some playtime. To keep everyone happy, you need a family vacation destination with lots of options for all ages. Relax, we’ve done your homework for you. Why not consider a vacation in one of these four Southern towns? Each of these towns has something for everyone in the family. In addition, they all offer lots of vacation rentals. A vacation rental can be a family-friendly (and budget-friendly) alternative to staying at a hotel. Plus, at the end of the day the kids can be inside watching a movie, while mom and dad relax on a porch with scenic views. 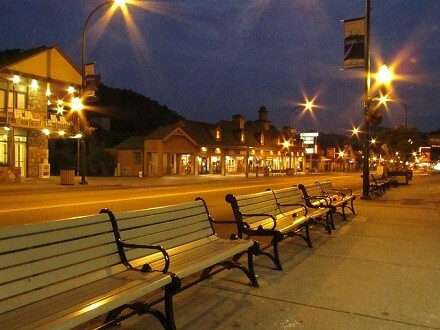 Gatlinburg is a mountain resort community nestled at the foot of the Smoky Mountains. It’s also the gateway to the popular Great Smoky Mountains National Park. If you want to have a real Smoky Mountain experience, a Gatlinburg rental cabin is the place for you. Your family can feel like they’re staying in a mountain lodge, while having deluxe amenities like a game room or home theater in their cabin. Besides getting some great mountain views, you also have easy access to the national park and its many hiking trails. Take a scenic wildflower walk or take the family for a thrilling whitewater rafting excursion. Gatlinburg has a walkable downtown with fun family attractions, like Ripley’s Aquarium of the Smokies and the Guinness World Records museum. Plus, you’re right next door to Pigeon Forge, a town filled with theme parks and kid-friendly attractions. There’s lots of fun and action available for the entire family. Dine at the numerous fine and family restaurants. Learn about the mountain’s heritage from the craft fairs, concerts, retail shops, and festivals. Take a trolley ride or a stroll along the river. There is something for every member of your family to have a great time. 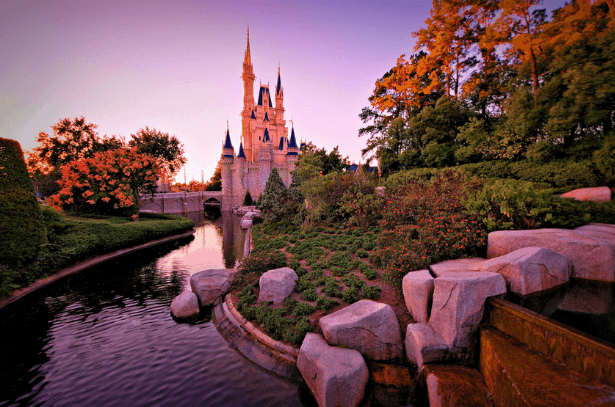 With so much for families to do together, and so much fun available for everyone, it is no wonder that Orlando is one of the most family-friendly vacation locations. There aren’t enough hours in a day to be able to do everything in Orlando, so plan your day to get in as much fun as possible. There are four separate theme parks, resorts, water parks, entertainment districts, and shopping at Orlando’s Walt Disney World. The Magic Kingdom is where the magic Enter the kingdom through Cinderella’s castle and start your magical journey. Watch movies come to life with shows and movie sets in Disney MGM Studios. Celebrate the many cultures of the world, including the future at Epcot Center. Visit with the animals of the world with rides, story-telling, and shows in Disney’s Animal Kingdom. Experience the many activities and excitement in SeaWorld Orlando. See animals up close and personal, become a “trainer for the day” and work with the animals. Have fun in the various Adventure Camps, get sprayed with water by a killer whale, and enjoy so many other fun and adventurous programs offered at SeaWorld. 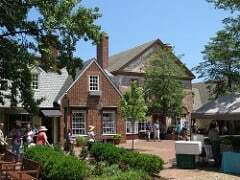 When you visit the history-themed park at Colonial Williamsburg you will be greeted by politicians, townspeople, and shopkeepers. Choose from over 20 tours including city itineraries, garden tours, ghost walks, and carriage rides. In Jamestown, your family can walk in the steps of Captain John Smith and Pocahontas and see how the first American colonists lived. The park offers historical stories on display in exhibits, living museums, and monuments. History comes alive with intriguing attractions all within one captivating and interesting space. For even more colonial history, drive along the scenic 23-mile Colonial Parkway from Jamestown to Yorktown. It’s a beautiful drive that crosses 200 years of Colonial American history. Visit Yorktown Battlefield and see where the American Revolution was won. On this spot in 1781 General George Washington defeated General Charles Lord Cornwallis’s British army and guaranteed America’s independence. Enjoy the wave pool at Surfer’s Bay, ride down the 75-foot tower slide at Vanish Point, have fun on the inner tube slide called the Jet Stream, and take a ride on the whitewater rapids on Big Daddy Falls. You will find all of these attractions and more at Water Country USA. Busch Gardens is located southeast of Williamsburg and has attractions that appeal to all ages. Sesame Street Forest of Fun, rides and animal shows, roller coasters, and themed country lands are among a few of the many sites to visit. You will be doing a lot of walking so be sure to wear comfortable shoes. Seaside is a quaint beachfront community nestled between Panama City Beach and Destin along Highway 30A. It’s a wholesome, picture-perfect beach town known for its vacation cottages, walkable town center and sugar-white beaches. In fact, Seaside and the Northwest Florida Panhandle have become famous for its warm waters and some of America’s prettiest beaches. Seaside is where you want to be. It is also known for its bike and pedestrian way of life and locally-owned waterfront dining. Seaside has a quieter pace than some of the other destinations in our list. The town feels like a step back in time to a simpler, quieter America characterized by small towns and happy families. You won’t find amusement parks here. It’s about family time at the beach, or a bicycle ride the kids along the shore. Ultimately it’s time together that makes a family vacation great. Must See Cities In United States – Traditionally, travelers coming to North America are told that New York City is the place to be. While of course, NYC is considered the center of culture and diversity in the United States, there are a few other cities (and Great Lakes Region) in good ‘ol America that are worth looking into. At the very least, they’re a whole lot cheaper. Even though this city has experienced its fair share of disaster, from Hurricane Katrina to the latest BP offshore oil spill, it hasn’t lost its sense of charm. One of the oldest cities in the United States, New Orleans has much to offer to any budget traveler. NOLA, as it is endearingly called by its inhabitants, is home to the inimitable Cajun cuisine, culture, and language. It’s also the birthplace of jazz music, and is clothed in a very unique French Creole architecture. New Orleans also is the setting of famous works of literature, including the Tennessee Williams’ play A Streetcar Named Desire and the John Kennedy Toole’s novel Confederacy of Dunces, which perfectly captures the cosmic weirdness of this great southern city. Not many first time travelers to the United States consider Texas as a prime location to go for a romp, if only because Texas has an exaggerated reputation of being all about backwardness and cowboys throughout much of the world. However, Austin is very much a diamond in the rough. It’s surrounded by the rolling hills and pristine lakes of the Texas Hill Country, it’s famed especially for its live music scene, which achieves its zenith during its annual Austin City Limits Music Festival, and the nightlife rivals many bigger U.S. cities. Come to Austin for a laid back and relatively inexpensive good time. Austin has self-proclaimed its title as the ”Live Music Capital Of The World”, and it might not be far from the truth. Austin has some awesome music festivals during the year, and the event calendar is jam packed with fun music events and shows all throughout the year. You’re guaranteed at least one big event or festival every month of the year, and you can always spend the rest of the time bar hoping between pubs and music venues. The great thing about the US is that you can live in one part of the country and easily find many last minute flights to all of these major cities so you can actually fly in for the weekend and spend two nights partying before heading back home. Not as tourist-ridden as Nashville, Memphis is a quaint U.S. city with lots of charm and history. It is most famous for its music scene. Many of the most influential American blues, gospel, and early rock n’ roll singers got their start in Memphis, including Elvis Presley, B.B. King, and Johnny Cash. Memphis has two established visual arts areas and is home to the Brooks Museum and Dixon Gallery. Memphis is also a great place for foodies, and has many authentic barbecue joints, among other restaurants featuring a variety of cuisines. Although the United States has much to offer to visitors of all stripes and interests, these four cities are a great start if you want to sample a variety of distinct places that are scattered across the map.